Credit: www.pixabay.com. CC0 Public Domain. It’s true that there are still way more carnivores than vegans and vegetarians all around the globe by an overwhelming majority. Nevertheless, in the next few decades the consumption of animal products is likely to become an issue in mainstream politics. Contrary to views that reduce veganism to a contemporary fashion statement related to personal health or identity, the decision to boycott animal products has major political implications. It tackles several important issues including justice towards animals, action on global warming, and halting environmental degradation, as well as public health—for example, the growing problem of antibiotic resistance. Therefore, World Vegan Day should make us think hard about the following questions: how will veganism evolve both personally and politically; and, most importantly, what will the future hold for animals? The production of animal products (especially but not only of meat) is already leading to severe environmental problems. Most prominently, meat consumption contributes to global warming, with around 20 per cent of all greenhouse gas emissions stemming from animal agriculture. In addition, factory farming and the production of food for farmed animals lead to deforestation, soil degradation, and water pollution. Vegan diets, or at least the massive reduction of the consumption of animal products, are steps we can take to counter these negative trends. As the environment continues to change and the effects of global warming become more visible, will environmentalists turn their attention towards the consumption of animal products? Up to now, the major environmental organizations have shied away from attracting public attention to veganism. The popularization of this criticism by a recent movie, Cowspiracy, has led to reactions from some of the organizations that were accused, including Greenpeace and the Sierra Club. 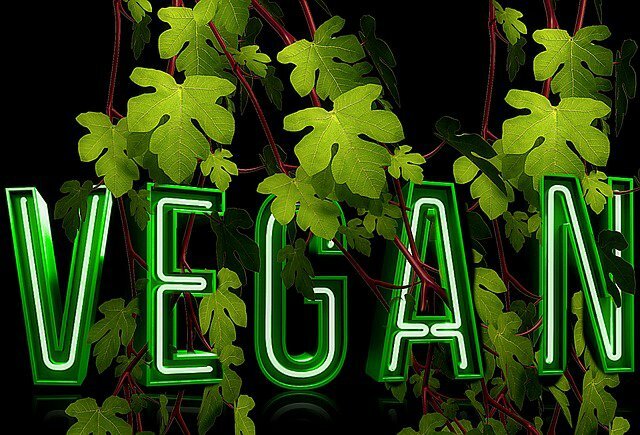 If environmentalists do change their strategies, vegan advocacy could provide a platform to strengthen collaboration between environmental and animal rights activists. In fact some other political players are already emphasizing the environmental dangers of animal agriculture. For example, the Chinese government has announced a plan to reduce meat consumption by 50 per cent until 2030, a decision endorsed in a popular YouTube video by Arnold Schwarzenegger and James Cameron. Public health concerns are also growing around factory farming and the dangers of meat consumption. In factory farms, the living conditions of farmed animals constantly cause diseases which are treated with antibiotics. However, their frequent use leads to the growth of antibiotic resistance among both animals and humans. The World Health Organization (WHO) is already predicting a ‘post-antibiotic era.’ In addition, it warns that the consumption of processed and red meat is linked to the spread of cancer. Fortunately, concerns about animal welfare and animal rights are on the rise in many parts of the world. Not only have vegan advocacy groups sprung up in Europe and North America, but they are also being launched in countries like Ecuador, India, Israel, and South Africa. In some Western European countries, five to ten per cent of the population is already either vegetarian or (to a lesser extent) vegan. In Israel, one survey found that 13 per cent of the population is vegan or vegetarian, while for India the figure for vegetarians is 29 per cent. Public opinion beyond vegans and vegetarians is also shifting. Recent Eurobarometer data show that 94 per cent of the EU population regards animal welfare as an important issue, while 82 per cent support improvements in the conditions for farmed animals. In many of these national examples, younger people are particularly open to animal welfare issues and to lifestyles that are free from animal products. Therefore, it seems safe to assume that generational changes will add to the growing salience of animal rights and veganism in contemporary societies. Faced by this prospect, some commentators suggest that technological solutions will be developed to address the problems of animal farming and meat consumption. Vegan advocates like PETA founder Ingrid Newkirk point to the potential of ‘in-vitro meat’—cultured meat that is grown from the cells of actual animals. The ideal end product for these advocates is real flesh that’s produced without harming a living animal. Although the large-scale development of cultured meat is still decades away in terms of both quality and cost, there has been some recent progress. In 2013 for example, researchers from the University of Maastricht presented the first cultured hamburger in London. However, the idea of in-vitro meat remains controversial among vegans. Some criticize this development on the grounds that it makes meat consumption seem more desirable, not less. Others say that it diverts attention away from veganism as the straight-forward strategy of ending animal exploitation. In addition, the growth hormone that’s used in in-vitro meat is ‘fetal calf serum,’ which is still an animal product. These are important concerns, but it’s worth remembering that the large-scale exploitation of horses and donkeys as draft animals and in wars only occurred after breakthroughs in new transportation technologies, particularly affordable automobiles. So if technologies are developed to produce and marketize affordable and tasty cultured meat, the public debate around our relationships to animals might actually be pushed forward in a variety of positive ways. For now, however, these are vague hopes for the future. The actual reality of farmed animals remains absolutely dreadful. Even the most ‘advanced’ animal welfare legislation remains quite modest in scope, while increases in population, urbanization and incomes have led to an increase in meat consumption in ‘developing’ economies. In Germany, a country where meat consumption is on the decline, the slaughtering of animals continues to increase as exporters flood foreign markets. In addition, veganism is not simply a diet; it’s also an ethical position that rejects the use of all animal products as harmful, dangerous and unjust. As the writer and activist Carol Adams has argued, meat consumption is also highly correlated with the rise of sexism in politics. To be sure, vegan advocates face enormous challenges in the years ahead. However, given the increasing acceptance of animal rights and the risks of meat consumption to the environment, global warming and public health, ‘vegan politics’ look likely to enter the mainstream of public debates, social activism and policymaking. If so, both animals and human beings will benefit enormously.